The CPT manual uses the general term "dialysis circuit" to refer to both arteriovenous fistula and arteriovenous graft. Dialysis circuits can be placed at several different locations in the forearm, elbow, and upper arm. The procedure codes and associated guidelines for percutaneous dialysis access maintenance have changed over the years but never more so than the complete revision that occurred for 2017. 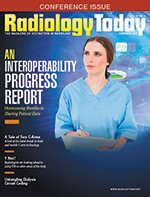 To simplify the coding process, new bundled codes were created specifically for the "dialysis circuit" with the goals of minimizing any coding confusion and ensuring that all procedures were consistently coded regardless of the physician's specialty. An arteriovenous dialysis circuit is a surgically created structure for long-term hemodialysis access in patients with end-stage renal disease. There are two types of dialysis circuits, both of which involve the creation of an artificial communication between an artery and a vein. An arteriovenous fistula (AVF) is a surgically created anastomosis between an artery and a vein. It allows some of the blood to pass directly from the artery into the vein, while the rest continues down the artery to the distal part of the limb. The presence of the fistula greatly increases the blood flow through the vein, since some of the blood is going directly into the vein rather than passing through the distal capillary bed. This increased blood flow causes a series of changes in the vein. In particular, it becomes larger and easier to see through the skin. This process is known as "maturation," and it usually takes about a month. When the fistula has matured, it is ready for use in dialysis. Two needles are inserted into the patient's vein just beyond the anastomosis. The needle closest to the anastomosis carries blood to the dialysis machine, and the one that is farther away from the anastomosis returns the blood to the patient's body. An arteriovenous graft (AVG) is a segment of synthetic blood vessel that is sewn to the artery at one end and to the vein at the other. Dialysis can then be performed by inserting the needles into the graft. A graft does not need to mature, so it can be used much sooner than a fistula. However, grafts have a higher failure rate than fistulas and, for that reason, fistulas are preferable as long as the patient has suitable blood vessels available. The CPT manual uses the general term "dialysis circuit" to refer to both AVFs and AVGs. Dialysis circuits can be placed at several different locations in the forearm, elbow, and upper arm. The first choice is usually a radiocephalic fistula, which is a connection between the radial artery and the cephalic vein in the wrist. If the patient does not have any suitable vessels in the arm, the surgeon can place a dialysis circuit in the patient's thigh. Dialysis circuits often stop functioning because of stenosis or clot formation. When this occurs, the interventionalist will insert a catheter into the fistula or graft and perform a contrast angiogram (fistulogram). Depending on the findings, the physician may then perform a therapeutic procedure such as angioplasty, thrombectomy, or stent placement. For coding purposes, a dialysis circuit begins at the arterial anastomosis. In an AVF, this is where the artery and vein are sewn together. In an AVG, it is where the graft is sewn to the native artery. The circuit extends all the way to the right atrium. The CPT manual defines a dialysis circuit as having two segments: the peripheral segment and the central segment. The peripheral segment begins at the arterial anastomosis and extends to the central segment. It includes the area that was previously defined as the "peri-anastomotic region," which includes a short segment of native artery adjacent to the anastomosis, the anastomosis itself, and a short segment of the circuit on the other side of the anastomosis. For most dialysis circuits in the arm, the peripheral segment extends through the axillary vein. However, if the cephalic vein is the outflow vein, as in the case of a radiocephalic fistula, then the peripheral segment extends through the entire cephalic vein. For dialysis circuits in the leg, the peripheral segment extends through the common femoral vein. The central segment extends from the peripheral segment all the way to the right atrium. For dialysis circuits in the arm, the central segment includes the veins central to the axillary and cephalic veins, which includes the subclavian vein, innominate (brachiocephalic) vein, and superior vena cava. For dialysis circuits in the leg, the central segment includes the external iliac vein, common iliac vein, and inferior vena cava. To perform a contrast study of an AVF, the radiologist will usually puncture the patient's native vein just past the point of the anastomosis. For AVGs, the radiologist will usually puncture the arterial side of the graft with the needle pointing toward the venous side. Only one unit of 36901 is needed to report puncture and contrast study of either an AVF or an AVG. This code will not be assigned if the physician performs dialysis circuit interventions such as thrombectomy or angioplasty during the same encounter. In this situation, the diagnostic imaging of the dialysis circuit is included in the intervention code(s), which is discussed below. Code 36901 includes antegrade and/or retrograde punctures of the dialysis circuit and injection of contrast through a needle or catheter. It also includes all catheter manipulation necessary for diagnostic imaging of the dialysis circuit, including passing the catheter farther into the dialysis circuit or into the central veins, including the vena cava, if necessary; selective catheterization of venous side branches (accessory veins) communicating with the dialysis circuit; and passing the catheter tip through the arterial anastomosis for adequate imaging of the anastomosis. The CPT manual states that ultrasound guidance for dialysis circuit access is "not typically performed" but, if it is medically necessary, it may be reported separately with code 76937, if all of the requirements for this code are met. A contrast study of the dialysis circuit may be performed without direct percutaneous access of the circuit. For example, patients are sometimes brought to the angio suite directly from the dialysis center with one or both dialysis cannulas already in place. In this situation, the physician can perform a fistulogram by injecting contrast through the cannula. In other cases, the physician may use an access site that is remote from the shunt. For example, the physician may puncture the femoral vein and pass a catheter up into the arm to study an upper extremity shunt. In either of these situations, the imaging of the dialysis fistula or graft should be reported by applying modifier 52 to code 36901. • closure of the puncture(s) by any method. Code 36902 includes angioplasty of one or more lesions of the peripheral segment of the dialysis circuit, including the peri-anastomotic region when performed. Only one unit of code 36902 can be reported per session. Code 36902 does not include use of a balloon catheter to remove an arterial plug, which is coded as a thrombectomy. Code 36903 includes placement of one or more stents in the peripheral segment of the dialysis circuit. It also includes any angioplasty in the peripheral segment, regardless of whether it involves the same lesion as the stenting or a separate lesion. Only one unit of 36903 can be reported per session. Thrombectomy ("declotting") involves removal of clot from the dialysis circuit by any of several methods. The clot can be fragmented with a thrombectomy device such as an AngioJet. Alternatively, it can be pulled out using a Fogarty catheter, which is a catheter with a balloon tip. The Fogarty catheter is inserted through the clot, then the balloon is inflated and the clot is pulled free. Often the physician will administer thrombolytic agents like tissue plasminogen activator (tPA) to help break up the clot. "Lyse and wait" is a technique in which tPA is instilled into the fistula/graft and allowed to sit for 30 minutes, after which the remaining clot can usually be removed easily. Or, if necessary, the physician can initiate a prolonged thrombolytic infusion into the dialysis circuit. Codes 36904 to 36906 include thrombectomy by any of these methods in the peripheral segment, the central segment, or both. 36904 is assigned if thrombectomy is performed without peripheral segment angioplasty or stenting. 36905 is assigned if thrombectomy is performed together with peripheral segment angioplasty but there is no peripheral segment stent placement. Finally, 36906 is assigned if thrombectomy is performed together with peripheral segment stent placement, with or without angioplasty. Only one of these codes may be assigned per encounter. To report angioplasty and/or stenting in the central segment performed through direct percutaneous access to the dialysis circuit, new add-on codes 36907 and 36908 were created for 2017. These codes can be reported together with dialysis circuit imaging (36901), peripheral segment angioplasty and stent placement (36902, 36903), dialysis circuit thrombectomy (36904 to 36906), and the open dialysis circuit creation, revision, and thrombectomy codes (36818 to 36833). Code 36907 represents central segment angioplasty, and code 36908 represents central segment stent placement, with or without central segment angioplasty. Code 36908 includes all central segment angioplasty as well as stent placement. Each code can be reported only once per encounter, and the two codes may not be reported together. These codes may not be used when central segment angioplasty and stent placement are performed via remote access rather than through percutaneous puncture of the dialysis circuit. Instead, use the general venous angioplasty codes (37248, 37249) or general venous stent placement codes (37238, 37239). Accessory veins, also known as venous collaterals, are side branches off the dialysis circuit. The presence of collaterals causes a decrease in the blood flow through the circuit and may prevent a fistula from maturing. When this occurs, the physician may embolize the accessory veins. Add-on code +36909 is used for embolization of accessory veins as well as for embolization of the main dialysis circuit and can be reported together with dialysis circuit imaging (36901), peripheral segment angioplasty and stent placement (36902, 36903), or dialysis circuit thrombectomy (36904 to 36906). Code 36909 can be reported only once regardless of how many vessels are embolized. Note that separate codes should not be assigned for catheterization of venous collaterals, as this service is included in all of the base codes. Procedure codes 36901 to 36906 are built on progressive hierarchies: Report only one code from this series for services provided in a dialysis circuit. All catheterizations required to perform additional services are included in codes 36902 to 36909 and are not separately reported. All angiography, fluoroscopic image guidance, roadmapping, and radiological supervision and interpretation required to perform each service are included in each code. Ultrasound guidance for puncture of the dialysis circuit access is not typically performed and is not included in 36901 to 36906; however, in the case of a new (immature) or failing AVF, where ultrasound may be necessary, it may be reported with 76937 if all of the appropriate elements are performed and documented.